Is your pet an at-risk breed to travel? Is your pet crate-trained? Pet relocation to another country means that owners must make an informed decision about whether or not their pets are ready for the trip. For pet owners, pet relocation to a new country can cause a lot of headaches, including the physical move and pet registration. When relocating your pet abroad, the owner needs to make an informed decision as to whether their pet is up for the trip. It’s therefore important to know the factors involved when making an international move with your pet. Most pet owners treat Fido or Fluffy like another member of the family, with birthday parties and stockings full of rawhide hanging on the mantle during the holidays. These pet owners come from the school of thought that a pet is not just a pet; they are a beloved member of the family, an integral part of the home, and a loyal best friend. Relocation counsellors oversee the move of this trusty companion. It’s not always just a matter of handing off the animal to a pet relocation company that specializes in the international door-to-door transfer of pets. Many times, the pet relocation counsellor is the one responsible for having the initial conversation about the pet move with the transferee. Having a general knowledge of how the process works and answers to common questions will ease concerns about the pet’s upcoming move and can facilitate a smooth transition from the relocation counsellor to the pet relocation company. 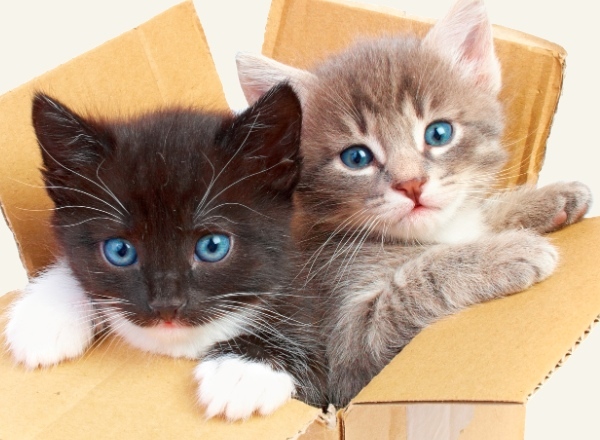 How does pet relocation work? Pet relocation companies boast the ability to serve the entire world. The practice itself is fairly straightforward: pets typically are picked up at the transferee’s residence, checked in at the departure airport, cleared through customs on arrival, and delivered to their owner’s new residence. Pet relocation specialists also usually are responsible for selecting appropriate flight arrangements, carefully reviewing the import and export documents, and counseling the transferee on the intricate details of the pet’s move. Some pet relocation services arrange door-to-door moves by opening offices at major hubs or franchising their businesses in various parts of the world. However, a pet is not always traveling to and from the main ports of entry: sometimes, it is necessary to facilitate customs clearances or deliveries in more obscure cities and countries. Most reputable pet relocation companies are members of the Independent Pet and Animal Transportation Association (IPATA). The association regulates and monitors the pet transportation industry by setting ethical standards and overseeing the performance of its members. As part of their membership, companies are given access to a network of pet transportation professionals worldwide that have guaranteed reputations for the services they provide. IPATA is comprised of pet transportation professionals: local pet taxis and veterinarians, major corporations, freight forwarders, and customs brokers. Because of IPATA’s exacting standards for membership, affiliates are able to safely coordinate the door-to-door service for the most precious of cargo. As a way of bridging the gap often found in a global industry, IPATA also offers an annual conference where the members gather to meet and exchange ideas, attend classes on country import requirements and species-specific handling techniques, and attend forums where representatives from major airlines come to answer questions in a round-table format. International requirements vary from country to country, so working with a quality pet-relocation company that is up-to-date on the current import requirements is critical. These intricacies often can affect the overall cost, and many people tend to underestimate the rates surrounding a complete door-to-door relocation for a pet. The cost of the pet move consists of the ground transportation to and from the airports, the documentation and import fees, and the air freight charges for the pets. When pets travel as cargo, the airlines generally charge for the dimensional weight of the travel crate, which sometimes can mean that the cost of a one-way international flight for a pet traveling overseas costs the same amount as a first-class, round-trip ticket for his or her owner. The general transportation procedure may be understood by the transferee. Nevertheless, there often are concerns regarding the care and safety of his or her beloved pet(s), rather than the “nuts and bolts” of the logistics. Following are breeds of pets that are susceptible to heat stroke and breathing problems when exposed to stress or extreme heat because of hereditary respiratory problems. “Most important is how our clients feel about [their pets’ moves],” said Rick Olson, regional operations manager of Crown Relocations, based in Los Angeles. “It is a foreign process to them loaded with emotion and concern.” These sentiments and anxieties can lead to a multitude of questions for the relocation professional. Many myths surround pet safety and air travel, which perpetuates anxieties that a transferee inevitably has when they first start contemplating a pet move. Most of the horror stories that circulate about pets flying are a direct result of pet owners attempting to fly their pets without assistance. Anyone who has ever tried to highlight their hair using an at-home kit or build a deck after picking up some two-by-fours at the local hardware store knows that some processes—while not impossible to do on one’s own—often are better left to professionals. It helps to remind the transferee that they will be inexperienced hands. For professional pet relocation companies, their duty is to ensure that every pet arrives safely and without incident. The risk of extreme temperatures affecting the pet’s safety is one of the other common concerns among pet owners. Many airlines will even embargo pets during the winter and summer months. However, most reputable pet relocation companies work with airlines that have programs in place to keep pets in climate-controlled environments for the duration of the flight. The pet never is exposed to inclement weather, and this allows companies to relocate pets all over the world year-round. Dogs escaping from or getting hurt while in their crates is an example of why pet relocation companies emphasize to clients that they crate-train their pet before the day of the flight. Some relocation companies even can arrange professional crate-training classes. It is important to contact the pet relocation company as soon as a potential transferee mentions he or she might be relocating a pet, as the more time he or she can spend getting accustomed to his or her new crate, the more relaxed he or she will be on the day of the flight. There are three different ways a pet can travel on an airplane: with the owner in the passenger cabin, as accompanied (or excess) luggage in the cargo hold, or as manifest cargo (typically without the owner). 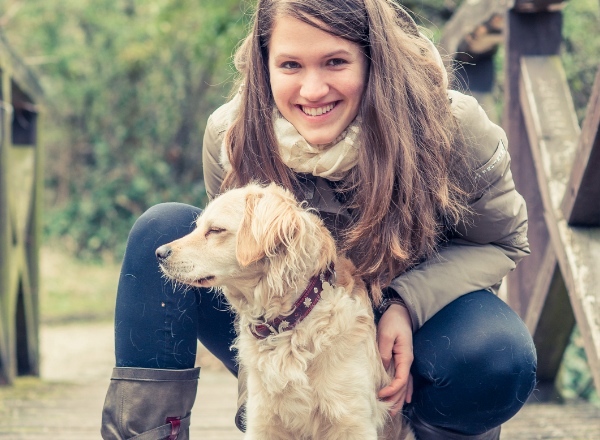 Most owners initially want to take their pets in the cabin. Unfortunately, because of airline restrictions on weight and size limits, as well as various government restrictions for international imports, pets rarely qualify to fly in the cabin. However, as long as care is taken in choosing the correct airline, the cargo hold where the pet will travel always is pressurized and climate-controlled. This means a transferee’s pet will travel in comfort even when apart from its owner. While direct flights always are ideal, direct routing is not the best way to make a decision as to the airline on which the pet should fly. Pet-friendly airlines such as KLM have cargo programs designed to care for four-legged travelers. Use a larger travel crate than normally is required (10–15 centimeters of clearance on all sides). Use a travel crate with ventilation on four sides. Get the pet used to the travel crate by working on crate-training the pet before its departure. Provide plenty of water for the animal before, during, and after the flight. “We have spent time and resources developing a service and product that caters to pets, with their best interests in mind, as well as those of their owners,” says Digna Faber, international sales manager of KLM Cargo’s Variation Live department. “We only work with specialized agents who make the arrangements that include booking with KLM, coordination of health documentation, and communication to the shipper and consignee, again, in the best interests of the pet and owner alike. No matter if it is for import, export, or transit, all pets go through KLM Cargo’s Animal Hotel in Amsterdam, KLM’s primary hub,” explains Faber. The Animal Hotel offers care and attention by specialized and trained staff, and even on-site veterinary services, if required, around the clock. Like KLM Cargo, other pet-friendly airlines have kennel facilities at their main hubs, where during the connection the pet can be checked on, fed, and given water. Other airlines are not adequately set up to take care of a pet in the event that there is a delay or emergency. Despite all of this careful attention, there still are some pets that most pet relocation companies consider to be at-risk when traveling. Older, infirm dogs and cats can travel, as there is no age limit. However, it is always is best for the transferee to seriously consider the amount of stress an elderly pet can endure. High-anxiety pets also pose a risk for hyperventilation and injury to themselves if they are not properly crate trained and conditioned ahead of time. Snub-nosed dogs, such as pugs and English bulldogs, are at an elevated risk for traveling because of their delicate respiratory systems, which can become impaired under high-stress situations. The length of travel and the pet’s individual personality can contribute to the amount of risk. Ultimately, it is left to the pet owner’s discretion to make an informed decision whether to fly with their pet after consulting with their pet relocation specialist and veterinarian. For transferees making international moves, the idea of sending their pets to new countries becomes even more daunting and worrisome. At first glance, the variety of import requirements and quarantine restrictions can be overwhelming. Each country has its own set of individual import and export requirements. It is important that the pet relocation professional have a familiarity with shipping to and from the transferee’s destination. International relocation for pets, just like their human counterparts, requires months of advance planning and careful attention to paperwork details. The most common misconception among pet owners concerns quarantine facilities and their attendant level of care. Countries with unavoidable quarantine periods, such as Australia and Singapore, have created comfortable, clean areas for pets to stay, not unlike modern boarding facilities for pets. Singapore’s quarantine facility has visiting hours, during which owners can take their pets outside to designated pens for exercise. The one caveat with these facilities is that they often fill up months in advance. Thus, it is crucial for a transferee to be connected with the pet relocation specialist early on to secure quarantine booking ahead of time. Other countries, such as Japan and the United Kingdom, have mandatory six-month quarantines. These, however, can usually be avoided by doing what is known as home quarantine. A pet must receive a series of rabies shots followed by a blood test. After this, the pet waits out the requisite amount of time in the origin country prior to traveling. This also requires ample advance planning and careful attention to the order in which the inoculations must be given. Certain countries have restrictions on the types of animals that can be imported and exported. For example, many countries have banned American Pit Bull Terriers outright because of their aggressive reputations. Switzerland does not allow animals with docked ears and tails into the country without proof that the owner of the pet is moving to Switzerland, such as a visa or residency permit. In September 2007, Indonesia banned all animals coming from anywhere in the United States (with the exception of Hawaii). Import and export policies get thorny when dealing with exotic pets or animals, such as wild birds protected by international trade laws. Exotic animals need to be properly exported because if the owner ever needs to move the pet again, they need to demonstrate that the animal was brought into the country legally. All of these delicate matters make up the stepping stones of an international pet relocation. This is why it often takes several months to prepare all of the necessary documentation. After all of the stresses of moving, a transferee is happiest when their pet arrives safely arrives at their new home. Through careful planning and open communication between the transferee and the pet relocation specialist, a corporate relocation professional does not have to be concerned with the intricacies of a pet move. From Almaty to Amsterdam, pet owners around the world will agree that their house is not a home until their best friend is resting beside them.